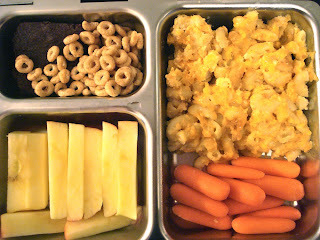 Teenie Baker: What's in My Lunchbox? From reading the "stats" of my blog, I know that I have a wide variety of readers from all over the world...everywhere from Russia to Japan to right here in Canada. To all my Canadian readers, are you super excited for Thanksgiving this weekend? I know I am! 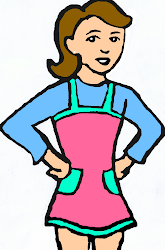 I can't wait to cook up a storm in the kitchen with my family...and then enjoy what we made! 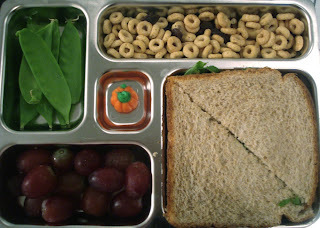 This was mine - a swiss cheese and veggie sandwich on whole wheat bread, some snap peas, grapes, trail mix and a little pumpkin candy for dessert! In Liv's planetbox, there was some leftover baked macaroni and cheese, carrots, Gala apple slices, cheerios and a Moosewood brownie. 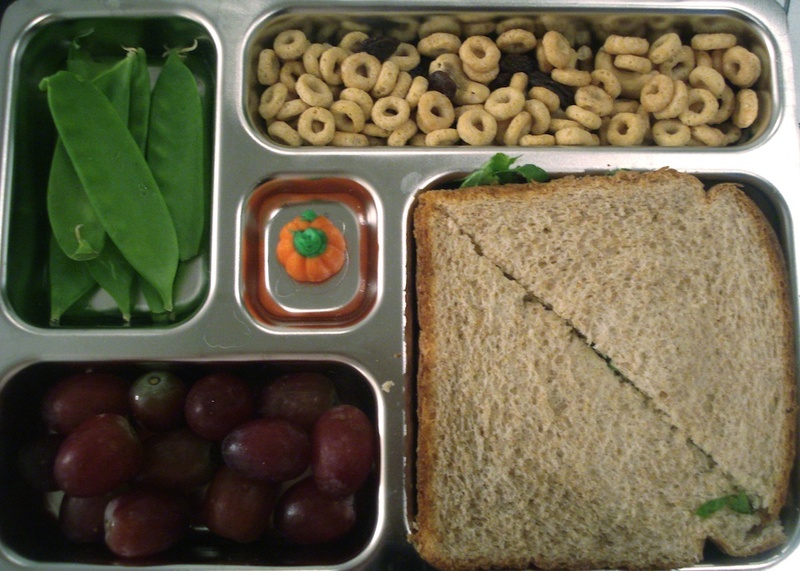 That's all for now - come back next week and hopefully you'll see some Thanksgiving leftovers in these lunch boxes!